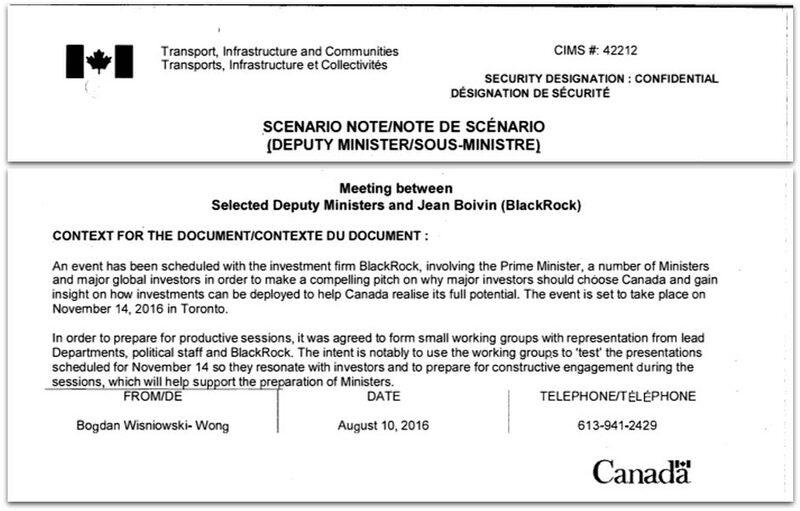 Last week, the Canadian Press reported that in the Fall of 2018, officials with the Canada Infrastructure Bank had over 120 meetings about 60 potential projects, some of which were solicited by the private sector. That follows the government pledging $35 billion federal dollars and setting up a full board of almost entirely private sector investors. And, there are signs money spent hasn’t yielded expected returns. On February 6, Engineering-News Record reported that, as national infrastructure spending rose 11% from 2015 to 2017 and launched as the feds set up the CIB to “to attract and funnel private-sector project dollars,” private spending on infrastructure fell 18%. one of the primary functions of the bank is to provide “loan guarantees” to private investors, essentially protecting their return on investment and making the taxpayer entirely liable in situations where forecasts prove inaccurate, projects fail, or costs otherwise accrue above and beyond what was expected. 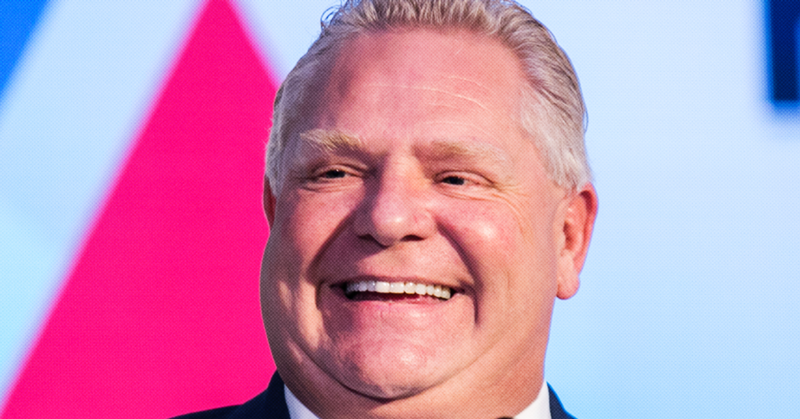 “One way to do that would be to take a higher risk stake in the bank, having more subordinate loans or providing more grants, or ensuring less competition or fewer rules so it gets its returns faster,” Toby Sanger, executive director of Canadians For Tax Fairness told PressProgress. Who Runs The Infrastructure Bank? 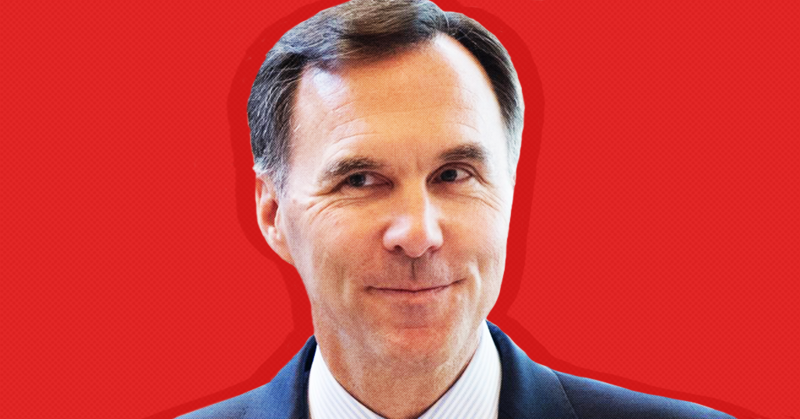 The 2015 Liberal platform mentioned providing low-cost loans to lower levels of government to help them construct infrastructure, through an infrastructure bank. But, the platform was otherwise light on details. Throughout that time, a Campaign For Accountability report notes, ministers met representatives of big banks involved in opening up infrastructure to investors. For example, in January 2016, Trudeau met with BlackRock CEO Larry Fink in Davos, at a breakfast organized by McKinsey and Company’s global managing partner Dominic Barton. During that time, the CFA report notes, Fink was urging governments to spend more on infrastructure and expanding BlackRock’s infrastructure investments. Trudeau met with Fink again on March 16, 2016 in New York. BlackRock did not respond to a request for comment from PressProgress. On March 18, Finance Minister Morneau unveiled the government’s Advisory Council On Economic Growth, chaired by Barton. The advisory council published its first report calling for the creation of an infrastructure bank that could recruit international investors for the development of toll highways, bridges, high-speed rail and power transmission projects. Soon after, Morneau announced a roughly similar plan for the CIB. The meeting was denounced by the opposition who said Trudeau gave the investors “extraordinary control” over the infrastructure bank. As well, Jim Leech the CIB’s special adviser, appointed in 2017, was the CEO of the Ontario Teacher’s Pension Plan when it invested in, among other things, privatized water utilities in Chile, the Council of Canadians noted. When the board of the CIB was unveiled, Sanger notes “it was full of Bay Street investor-types and pension investment board people.” Likewise, the Council of Canadians noted the board is heavily skewed towards supporters of P3s. Its chair, Janice Fukakusa, was previously the Chief Financial Officer of Royal Bank of Canada. Member Jane Bird, the Council of Canadian notes, led the development and construction of Vancouver’s Canada Line Rapid Transit system. Member Stephen Smith sits on the board of Metrolinx (known for both P3s and user fees). Member Christopher Hickman is the CEO of the construction giant, the Marco Group. Patricia Youzwa was the former SaskPower President and CEO and and adviser to, among others, the Canadian Electricity Association. Member James Cherry is the former president and CEO of Aéroports de Montréal and the former managing director of Bombardier’s Amphibious Aircraft Division and he was recently appointed to the Board of McGill University’s P3 University Health Centre. Member Michèle Colpron is a finance executive with past positions at the Caisse de dépôt et placement du Québec, Merrill Lynch Bank and Standard Chartered Bank. 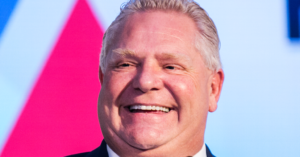 Likewise, as PressProgress reported previously, more than half of the board members have ties to the Liberal Party of Canada. “The question I have is ‘is there a single person on that board who is there to present a skeptical voice?’ I am willing to bet there is no one who plays that role,” Reynolds said. Sanger noted, that isn’t how partnering with the private sector typically works. because virtually all P3 projects are developed and operated through Special Purpose Vehicle (SPV) corporate structures, with limited liability and relatively minor equity stakes, the ultimate risks for ensuring the infrastructure and associated public services continue to operate always remains with the public entity. “For projects where equity and bonds are utilized, the specific targeted ratio will depend on many project-specific variables,” Lavallée said. In August, 2018, The Infrastructure Bank announced “REM project financing completed – Canada Infrastructure Bank invests in Réseau express métropolitain project with $1.28 billion, 15-year loan.” It offered a final cash injection to the CDPQ Infra, a private but “wholly-owned” subsidiary of the Caisse de dépôt et placement du Québec for the construction of Montreal’s new light rail P3 transit line. CUPE researcher Mathieu Vick told PressProgress that to repay support to investors, the REM line may very well need to raise fares up to 20%. Especially, he said, since the project’s expense have risen. “Private infrastructure costs more money down the line, either through user fees or interest payments or rent payments because the private interests have to make their money. The public loses at the end,” Vick said. As PressProgress reportedly previously, when asked by a journalist if he would move against tolls and other user fees to pay back investors, Morneau refused to answer. 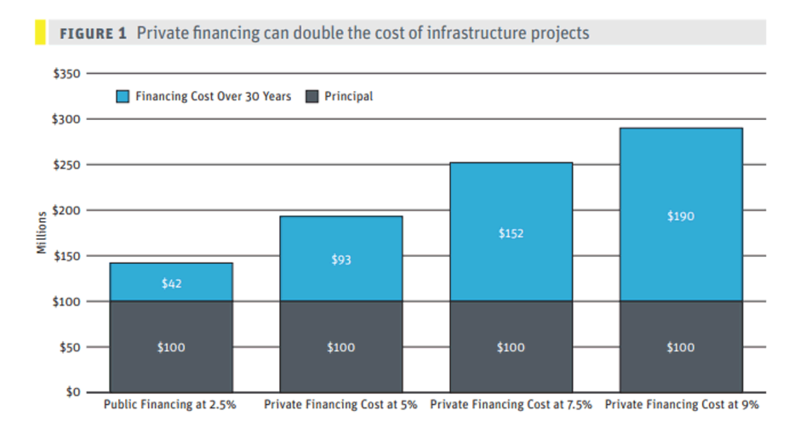 As PressProgress reported previously, the CIB is looking to provide a 7-9% return on investment for its infrastructure projects. As Michael Sabia noted in a speech to the Toronto Region Board of Trade, that is not easy to come by. Sanger noted for a 2017 study by the Canadian Centre for Policy Alternatives that the CIB anticipated $140 billion in private investment. Over the expected 30-year lifespan a 7.5 per cent ROI would cost $212 billion in addition to the principle repayment of $140 billion. That’s around $4,000 extra, per Canadian to please the private investors, the CCPA noted. “These p3s end up being tens of millions of dollars more expensive over a long period and where does that money come from? It comes from tax revenue, user fees and cost-cutting within the scope of projects,” Ramsay said.